I took a vacation last week and went home to Florida to visit the grandparents and parents. Of course while I was there, I had to stock up on gameday apparel at my favorite University of Florida book store. I am glad I did, because I was reminded of the greatness that is Magnolia Lane. Magnolia Lane is huge in the South (SEC). I promise any gift shop you visit in Florida, Georgia, Alabama, etc....is going to carry their line of "More Than Tailgating" products. 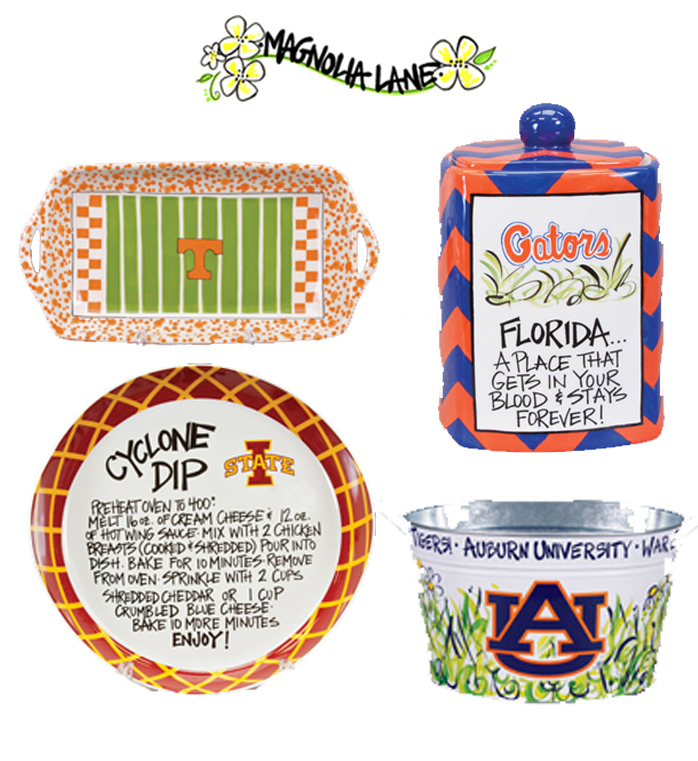 These hand painted plates and decorative items are a great way to elevate your tailgate. love the dip dish! def gonna order something with OU on it! They make such great gifts too.